RelaDyne, one of the nation’s leading providers of lubricants, fuel, diesel exhaust fluid (DEF), and industrial reliability services, announced its acquisition of U.S. Refueling, a mid-Atlantic supplier of diesel fuels, propane, and diesel exhaust fluid (DEF). RelaDyne can provide us with the resources to continue our rapid growth. Located in Philadelphia, Pennsylvania, U.S. Refueling is a single-source supplier of diesel fuel and commercial propane refueling services ranging from generator fueling, emergency fueling, and other commercial fueling services. 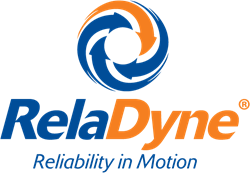 As part of RelaDyne, U.S. Refueling will expand RelaDyne’s existing Reliability Services - RediFuel services, which emphasize value-added specialty fuel distribution, and will increase RelaDyne’s geographic coverage area to include Philadelphia, its suburbs, and the surrounding mid-Atlantic region.